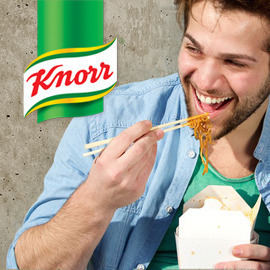 Help Knorr create a revolution in Hot Savoury Snacks! What do you reach for when taking a quick break at work during a busy day or between classes, when you’re feeling that growl in your tummy? When you need something more filling than just candy? Revolutionise snacking with a new quick to prepare Knorr Hot Savoury Snack that will make people’s mouths water! Format: 1 page including 1 visual and 1 paragraph of text (PDF). Send us your entry by May 24th and get in line for the €2.500 prize pool! This is an Express contest! Quick get that creative juice flowing!